Dad is my Superhero Scroll Saw Pattern. 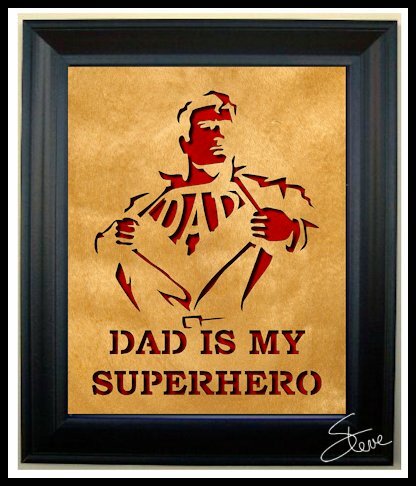 Father's Day is just over a week away. If you are fortunate enough to still have your dad around show him how much you care. Let him know he is your superhero. 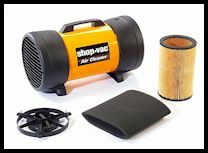 Review: Shop - Vac Air Cleaner Filtration System. 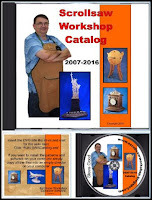 We all need to be concerned about the air quality in our workshop. Dust extraction at the power tool is great but it's not generally enough. Fine particles still manage to get in the air. These fine particles are easily inhaled and can be dangerous to your long term health. This fine dust can also cause short term issues. 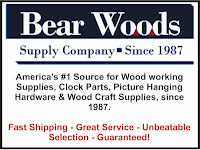 If I work with bubinga wood I have an almost immediate reaction. My throat itches and I get congested. I am allergic to bubinga so I need protection. Wearing a good face mask is critical as well. Most of us like to take the mask off after we complete the cut. This leaves us exposed to what dust is left in the air. A third line of defense is an air cleaner filtration system. These units move air around the shop and filter out the airborne dust. I use the Shop-Vac 1030000 in my shop. It is designed to sit on a surface but with a little DIY you can hang it from the ceiling. I have owned this system for several years and it works pretty well. I have always had it sitting on a table behind my scroll saws. I wanted it close to the saw because I did not use dust extraction with my saws. I now am using dust extraction so I have moved the unit higher. This allows it to move air around the shop an more efficiently remove the airborne dust from all the machine in my shop. The disadvantage of this machine is that it does not come with a remote control or timer. I solved the remote problem by purchasing this after market set of remotes. They are working great and they have three units and a remote with three buttons. I have all three hooked up to different pieces of equipment in my shop. They are connected to the air cleaner, fan and my lighted recording sign for when I am shooting videos. The advantage to this unit over other units it that it can be portable. You can move it close to the source of the dust if needed. If you don't have dust extraction in your shop this can be helpful. This unit is not for dust extraction from a machine. It is for cleaning the air in your shop. Make sure you understand the difference before you make a purchase. In summary, you need three levels of dust control. Dust extraction hooked to your machine. A good dust mask and an air cleaner filtration system. Here are my Amazon affiliate links to the products mentioned in this review. Wireless remote control outlet switch socket 3 pack. 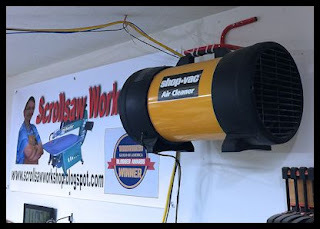 I will soon be reviewing the Seyco scroll saw dust extraction system. I just need to complete a few more tests and I'll do a video. 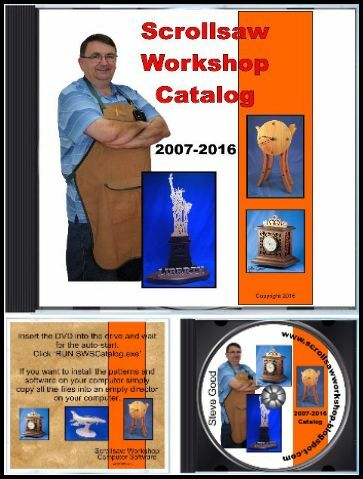 If you use my affiliate links, your price stays the same and the Scrollsaw Workshop get a small percentage. Thanks for your support.